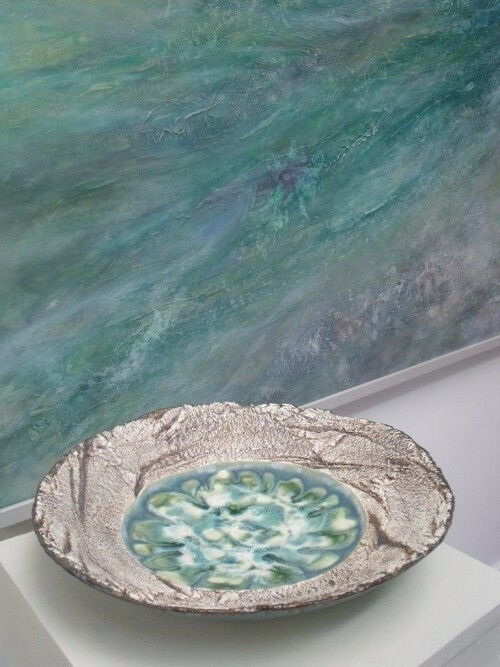 My Raku, Stoneware and Porcelain Ceramic works and mixed media Paintings are informed by the elements, light and natural environment of the Scottish west coast but created to try and capture both the strength and impermanence of the natural world. 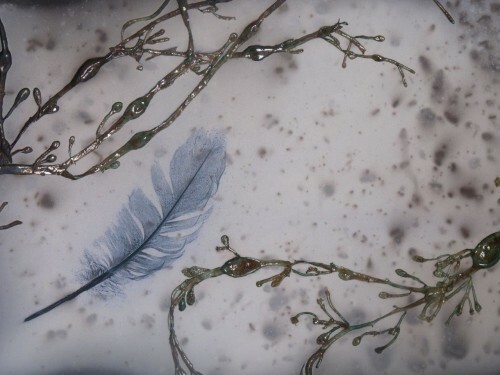 Equally essential and present and echoed within ourselves. 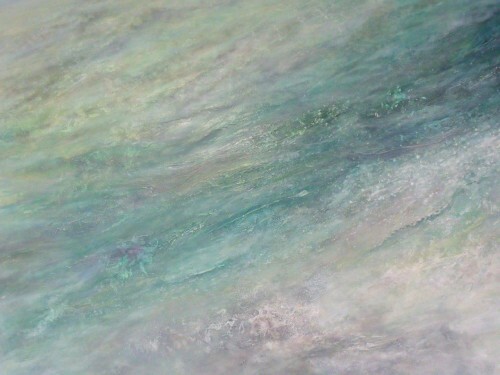 The mixed media Paintings combine Acrylic, Ink and Oil to create a feeling of depth with layers of texture evoking the atmosphere and colours of the changing west coast sea. 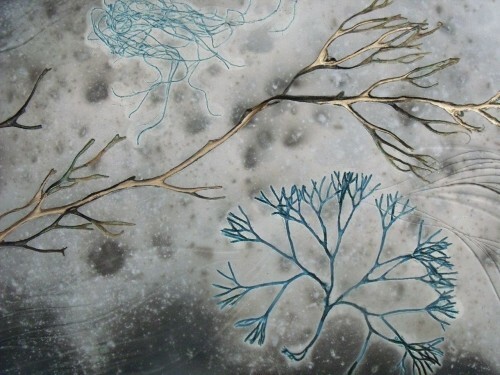 The unpredictable nature and beauty of the outdoor Raku smoke firing influenced by the elements and seasons gives each wall piece a unique sense of light, time and place. 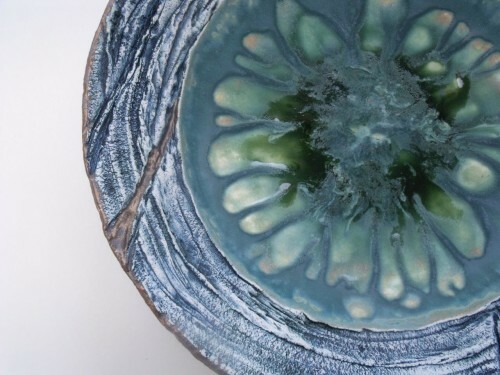 The stoneware bowl forms use the equally organic fluid nature of the high firing stoneware glazes and textured clay to create forms rooted in the coastal landscape. 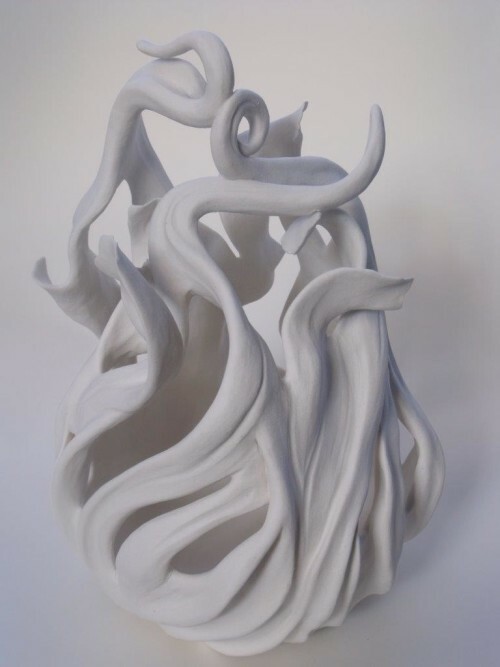 And the porcelain Sculptural work is made with Porcelain clay to develop organic growing forms seemingly suspended in the ebb and flow of the tide.